The music of the Haffner symphony was originally composed as a Serenade to be performed on the occasion of the ennoblement of Sigmund Haffner, a wealthy citizen of Salzburg. Leopold Mozart had a long standing friendship with the Haffner family, and through that Wolfgang had earlier been commissioned to compose a serenade for the occasion of the marriage of Sigmund Haffner's daughter Elizabeth. The earlier serenade, written in 1776, is in the form of an extended violin concerto, and is one of Mozart's most successful composition from his years in Salzburg. Leopold received the request for the second serenade in the summer of 1782. There followed an altercation between father and son. Wolfgang was unwilling to write the serenade. He was living in Vienna, and was engaged on a number of important projects including the scoring of his opera Die Entführung aus dem Serail and his marriage to Constanze Weber. Never the less he did work on it, and sent it in parts to Leopold. It is not certain how much he had completed by the time of the ennoblement ceremony. In December 1772 he asked Leopold to return the score to him, intending to include it in a concert in Vienna. On seeing the score again he was amazed at its quality, given the little time he had devoted to its composition, and decided to convert the work into a symphony. Two of the movements were removed (a march which is now catalogued as K385a), and a minuet. The remaining four movements were revised and re-orchestrated to include flutes and clarinets. The symphony was first performed at a concert of Mozart's music, on the 23rd March 1783 in Vienna. The Emperor attended, and among the musicians was the soprano Aloysia Lange, Constanze's sister, who a few years earlier had refused Mozart's offer of marriage. The concert programme may astonish modern listeners. It began with the first three movements of the new symphony. Then followed an aria from Idomeneo, a piano concerto, a concert aria, some movements from earlier serenades, another piano concerto and another concert aria. Mozart then improvised a fugue, and played two sets of variations for the piano. Another concert aria followed before at last the final movement of the Haffner symphony was played. The symphony opens with a grand movement which Mozart stated was to be played with fire. It uses a conventional sonata form, but has many inventive features including subtle harmonic shifts in the development section, fugal passages and a new brilliant colouring provided by the clarinet. Clarinets emerged around 1700, but were only just gaining acceptance as an orchestral instrument at the time. 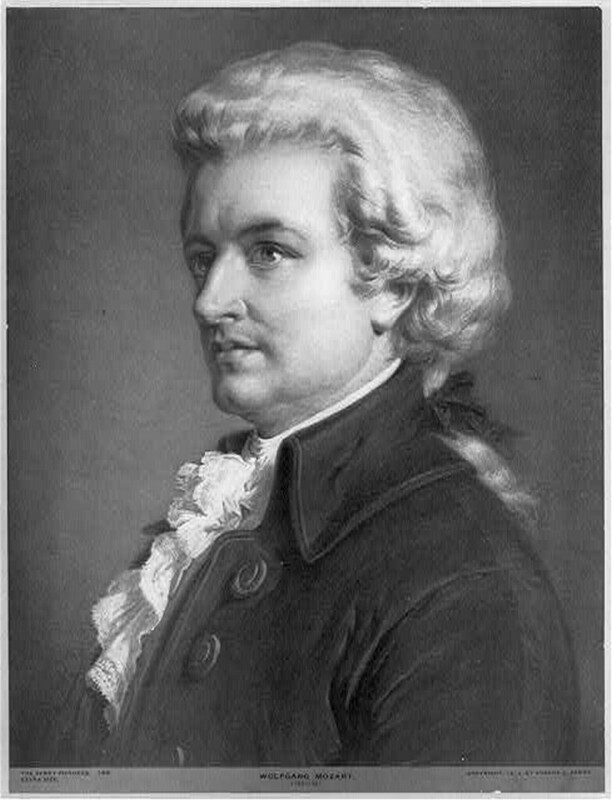 Mozart had previously used them in his Paris symphony, and went on to write many works for the instrument including the first and still perhaps the greatest clarinet concerto. The second movement complements the first with delicate graceful melodies passed between the woodwinds and strings. It is in binary form, with contrasting first and second subjects, and a brief choral like interval for the winds at start of the second half. The minuet retstores the grand manner of the first movement, and is given the character of a dialogue by its alternating forte and piano passages. It is remarkably simple harmonically, using mostly just the tonic and dominant chords, revealing perhaps its origin as a serenade for a ceremonial occasion. The trio section forms a strong contrast, being much more lyrical and played piano throughout. The last movement is an energetic presto, which has sometimes been compared to the Overture for Le Nozze di Figaro. Mozart advised his father Leopold, that it should be played "as fast as possible". It is a virtuosic movement that is full of surprises in the dynamics and the harmony creating an exhilarating and good humoured end to the symphony. Mozart's Haffner symphony was performed by the Portobello orchestra on the 26th March 2011, conducted by Anthony Weeden.